Below you will find my personal top-400 dynasty league baseball rankings. In order to be eligible for this list, a player must have over 200 career MLB at bats or 50 innings pitched. To see my top-100 prospects and players under those limitations stated above, please click the following link: https://mlbreports.com/2017/01/11/2017-top-100-major-league-baseball-prospects/. If you have any questions, please follow and tweet me @dynasty_digest. Gregory Polanco made huge strides in 2016, but this Pittsburgh Pirates outfielder could be in store for an even bigger 2017 season. At only 25 years old, Polanco made significant improvements to his swing and approach at the plate in 2016. He finished the season with a .258/.323/.463 slash line, 34 doubles, four triples, 22 home runs, 86 RBIs, 79 runs, and 17 stolen bases. Out of all Major League hitters this year, only 14 had more than 20 home runs and 15 stolen bases. Out of those 15, only five are 25 years old or younger (Gregory Polanco, Bryce Harper, Mookie Betts, Mike Trout, Wil Myers). As you can see, Polanco is in a very elite group of young talent, but after looking more into his numbers, his game could explode in the upcoming seasons. Below you can find my list of the top 100 dynasty/keeper baseball league rankings after the first half of the season. These rankings are obviously subject to change based on the performance of each player throughout the rest of the season. If you have any questions or comments, please feel free to reach out to me on my social media, which you can find at the end of this article. Thank you and enjoy. Luis Ortiz (TEX, 20 Years Old, RHP): Oritz has been very impressive when he is on the mound. Unfortunately, Ortiz has been very injury prone in his first few seasons of professional baseball. He was drafted 30th overall by the Rangers in 2014. Since being drafted, he has flown through the minors. At the age of 20, he is already in Double-A. He is 4.3 years younger than the average competition in Double-A, so that is very impressive in itself. In 61.1 innings between High-A and Double-A this season, he owns a 3.23 ERA, 61 hits allowed, 56 strikeouts, and only 13 walks. He has a great feel for all of his pitches, which translates to very few walks. Ortiz has the potential to be a 2/3 starter in the Rangers rotation in the near future. Hello all you baseball fans. Below you can find my 2016 midseason top 100 prospects list. I will be posting daily articles highlighting and analyzing each prospect (in groups of 10) throughout the next week, so keep an eye out for those articles. To get email updates when these articles are published, please follow my blog (dynastydigest.sportsblog.com). If you have any questions or comments, please feel free to reach out to me on Twitter (@dynasty_digest). Sam Evans: When the A’s acquired Josh Reddick from Boston this offseason, he appeared to be in place simply to just eat some at-bats for a rebuilding ballclub. However, in 2012, Reddick has finally tapped into some of his raw power, and as a result, he’s on pace to have a 5+ WAR season. Josh Reddick is one of the main reasons Oakland is contending this year, and Red Sox fans have to wonder if their team correctly evaluated Reddick’s talent. 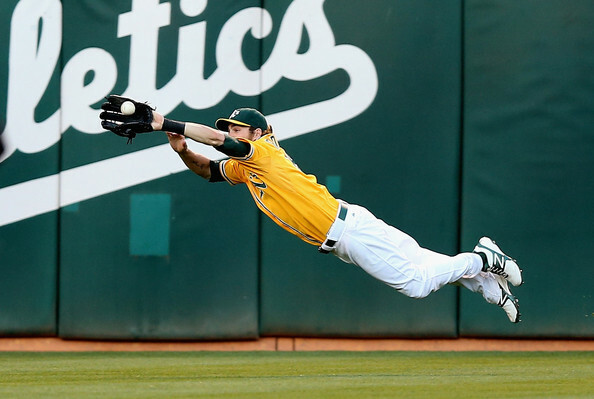 If Reddick can prove that his first 105 games haven’t been a fluke, he has a chance to win the A.L. Comeback Player of the Year award, and earn himself a long-term contract.